ELEMANCERS társasjáték - Magyarország társasjáték keresője! A társasjáték érték! Az ELEMANCERS egy remek társasjáték, 2 játékos részére, az átlagos játékidő rövidebb, csak 1 óra. A társast, 13 éves kortól ajánljuk kipróbálni. A játékmenet erősen épít a darab elhelyezés, a kő-papír-olló, a kollekció gyűjtés, a moduláris tábla és a kockáztatás mechanizmusokra. 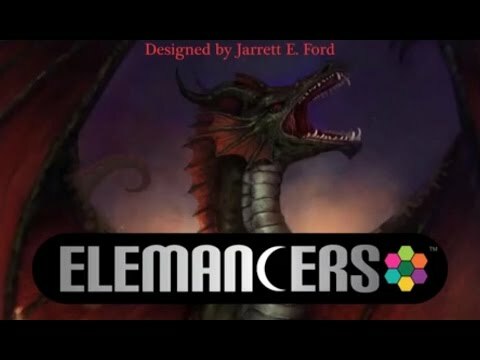 ELEMANCERS is a 2 player strategy-based fantasy board game that puts you in the polar conflict between the Light and Dark Factions! Both factions believe in either the worship of Creation or Death, and you command a faction to secure your elemental dominance in the world. Using the powers of Creation (Celestial, Beast, Flame) or Death (Shadow, Necro, Ice) you summon and empower creatures ranging from spell casters, to deadly skeletons and werepanthers, to enormous chimeras and dragons. The Cosmos is created and shaped by Creation and Death. Unique and imaginative Creature Cards, which each having their own powers and elemental alignments. Ability Cards including magic and weapons which can strengthen your forces using the primal elements of Creation or Death. Morph Cards which allow the player to add or subtract elements from a creature to transform it into another. Saga Cards which provide hidden objectives for uncovering Lore Cards, which provide insight into the game background story, as well as unlock super weapons including dragons and powerful artifacts. ‘Fate’ tokens which act as in-game currency and controls what actions players can take each turn. Exploiting creature weaknesses, bolstering your strength with Ability cards, luck of Fate dice rolls, and combat bluffing all influence effectiveness in battle. Hidden creature card movement on tile locations which provide “fog of war” on the battlefield. 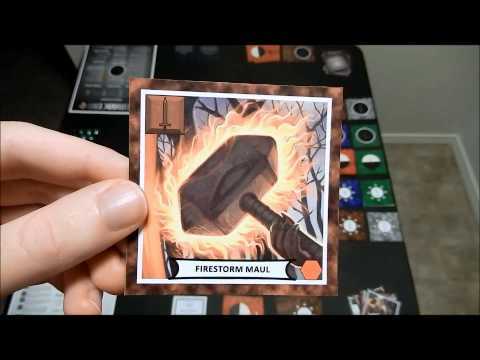 Four ways to win the game: Kill all enemy Heroes, capture the enemy Citadel, bring your Artifact to the Temple of Fate, or occupy that location of the enemy's Artifact.